HW Home’s own Ron Werner cooks up a storm of Chanukah tradition each year. So we asked him to share his family recipe for potato latkes. Chanukah literally means “consecrate” or “dedication,” and it celebrates the rededication of the Second Jewish Temple in Jerusalem after the Greek Syrians desecrated it around 165 BCE. One of the key elements in the Temple, and in all synagogues, is the eternal flame. A small group of fighters called the Maccabees (which translates to hammer)—led by the five sons of the Jewish priest Mattathias—waged a three-year revolt that culminated in the cleaning and rededication of the Temple. At the end of their process, they found very little oil left to keep the eternal flame lit. And though the true miracle of Chanukah is the victory over a larger enemy, we also celebrate the miracle that a scant supply of oil burned until it could be replenished eight days later. That is why we celebrate Chanukah by cooking food in oil. 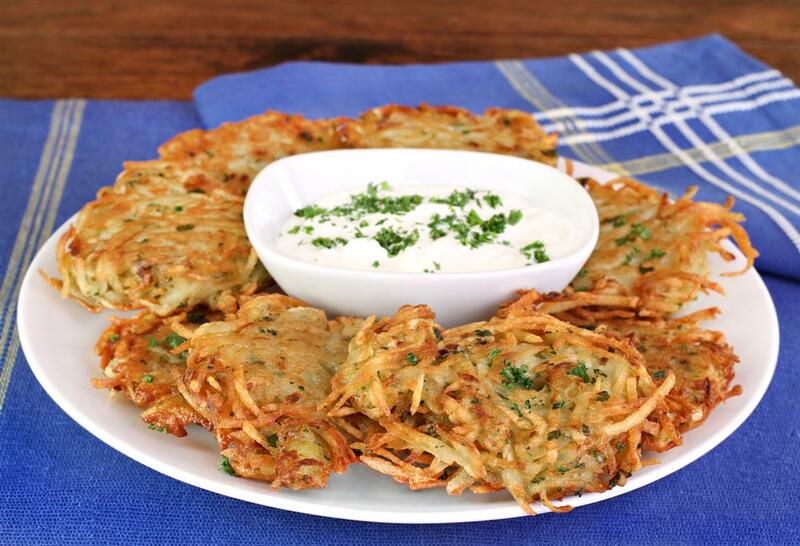 The potato latke probably emerged as an affordable tradition when many Jews were living meagerly in Eastern Europe, Russia and Poland. Latkes are actually few and far between in Israel. The Israeli tradition is to serve sufganiyot—doughnuts cooked in oil. Beat eggs in a bowl and set aside. Grate potatoes and onions (I prefer by hand, but a food processor is ok) making sure to use a short shoestring-like grater. Do not pulverize nor grate too finely. As you grate, you may notice water buildup in the bowl. This is from the potatoes. Drain the water as much as possible —water and hot oil are not a good mix. Heat up your oil in a deep frying pan—enough oil that the latkes will be submerged while they cook. As a side note, frying latkes will make your house smell for days, even if you have the exhaust fan running. Some people get an electric pan to use outdoors, or do the frying using a side burner on the outdoor BBQ/grill. I like to get some onions cooking up in the oil to season it. Test the heat of the oil with a small dollop of batter—if the oil is hot enough, it should sizzle as soon as it is dropped in. Begin frying using a large spoon to pour each latke into the hot oil. Cook for a few minutes, allowing the latkes to take shape, brown, and firm up. Flip each one carefully. Each latke will take 4-7 minutes to cook fully. I prefer mine more well-done. Using a large, slotted spoon, remove latkes from the oil and set them on brown paper grocery store bags to drain the oil from the latkes. You can cook hours before serving and reheat in the oven at 325-350 degrees, or serve them as you cook. I suggest offering applesauce and sour cream as toppings. Some Eastern European communities serve a meatball or goulash to top. My sister always offers an impeccable batch of her world famous matzo ball soup with her Chanukah meal. That recipe will come on another day. We've been looking for new blogs. 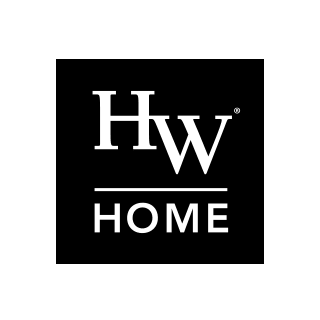 We love reading the posts from HW Home!